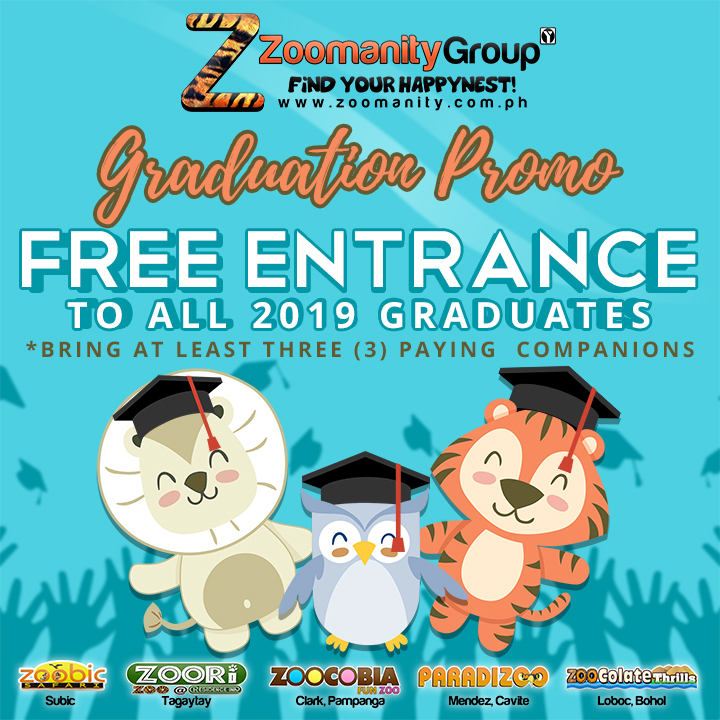 A ZOOlute to all the graduates from the Zoomanity Group! FREE ENTRANCE to all graduating students of 2019! Diploma, Graduation Program or Invitation supported by your School I.D with atleast three paying companions. Promo runs from April to May 2019.